Up to eighteen new variants of golems for your Minecraft game. Golem World 1.7.2 is a mod that lets you create new classes of Golem in our worlds that can also serve to defend our buildings against attacks from enemies. We can create up to 18 new golems, using various materials, which can be found in the deafult version. Each of these new golems have unique features and different from the rest, like it could be more health, more attack hability or special skills. They all have different apperance. 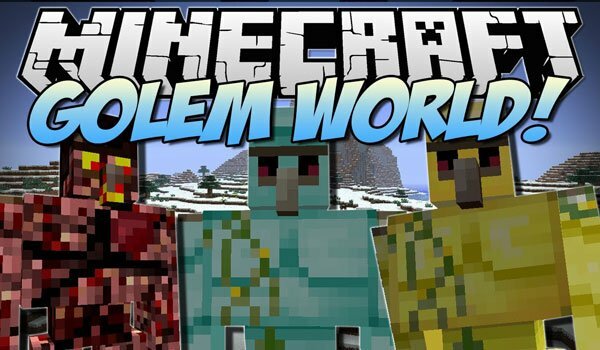 How to install Golem World Mod for Minecraft 1.7.2? A lot of new possibilities to craft golems!